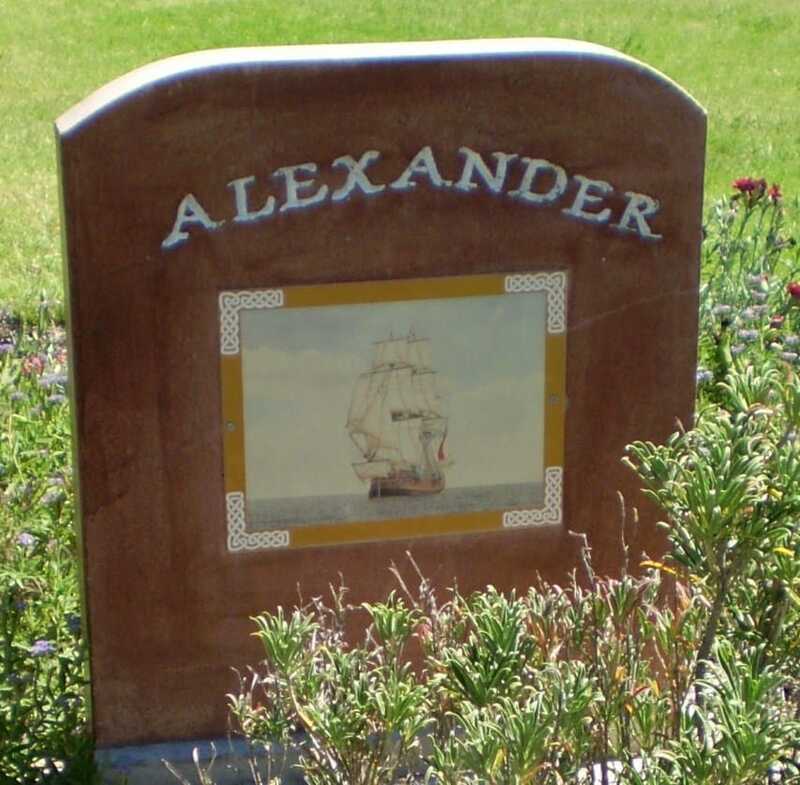 There was not a name more suited to an all male convict transport vessel than Alexander. Built at Hull in 1783 as a three-mast, two decks with a quarter deck but no galleries or figure-head it was the largest vessel in the fleet, except for Sirius, at 453 tons, 114 feet long and 31 feet wide. Alexander was owned by a Southwark master mariner William Walton, whose company Walton & Co., decided there was money to be made transporting convicts to Botany Bay. The transport was fitted out at Deptford under the supervision, firstly of Captain Stephen Teer, the Agent for Transports in the Thames, and later, of Lieutenant John Shortland, who on returning with troops from Halifax, was appointed naval agent in the First Fleet. The first of the 192 male convicts who had been sent from the prison hulks at Woolwich embarked by the Alexander on 6 January 1787. The Principal Surgeon of the new colony was John White, who had received his first warrant in the navy in 1780, and had charge of the medical arrangements during the voyage. He embarked in the Charlotte, and one of his three assistants, William Balmain, embarked in the Alexander, with the ship’s Master Duncan Sinclair. The Agent for the Botany Bay transports John Shortland arrived on board with his son, 2nd Mate Thomas George Shortland, and the other Shortland son John was 2nd Mate aboard Friendship. John snr and Thomas George returned to England on the outward voyage of Alexander. All eleven ships were assembled at Portsmouth in March, but another two months elapsed before departure in May. Recorded in Alexander’s Log: Came thro’ the Needles in company of the Hyenna, (sic) Sirius, and Supply with nine transports. Three weeks after leaving England, the Fleet arrived at Teneriffe in the Canary Islands. They took on fresh water and vegetables and the convicts received fruit and vegetables and fresh meat. The journey from Teneriffe to Rio de Janeiro took eight weeks followed by a five and half week voyage to the Cape of Good Hope – their last link with home. On 12 November the Fleet set sail for Botany Bay. The Log book of Alexander shows the final days of their long voyage. 19 January, 1788– At daylight we made the White Cliffs. At 8 am, saw Point Solander bearing N. by E., 3 leagues distant. 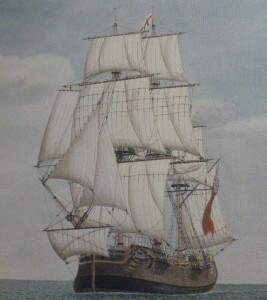 At 10 saw the Supply, brigg, at anchor in the bay; (Botany Bay! ); fifty or sixty of the natives appeared on the point. 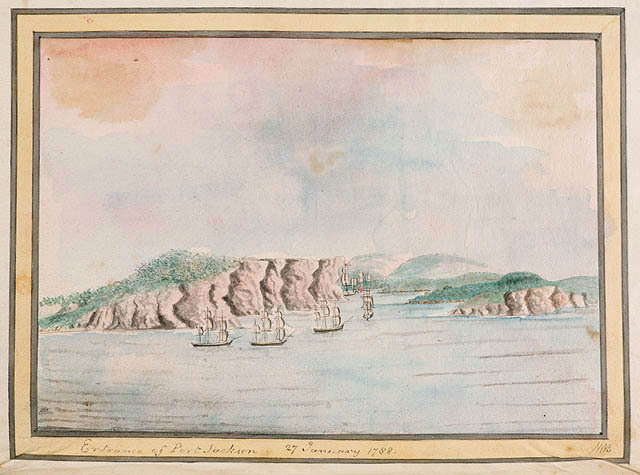 22 January, 1788 – A party of men were landed on the south side to work; the Commodore went to Port Jackson. 23 January, 1788 – The Commodore returned, and made signal for all masters. 24 January, 1788. Two ships appeared in the offing with French colours, who endeavoured to beat into the bay, but could not. With the discovery of Sydney Cove as the preferred site for the new settlement, the entire fleet departed Botany Bay for Port Jackson. After the convicts having been disembarked and the provisions and stores landed, Alexander made ready to sail for England. Before the vessel sailed, the first civil action case brought in Australian legal history occurred; being the Writs against Master Duncan Sinclair by Henry and Susannah Cable. On Tuesday 1 July 1788 convicts Henry Cable and his wife Susannah filed a request for the recovery of some articles of theirs held by Master Duncan Sinclair, and a court consisting of the Judge Advocate David Collins, the Reverend Mr Johnson, and the Surgeon General to the Settlement John White met to consider the matter. Cable asked for Duncan Sinclair to be summoned to show cause why a parcel of clothes, books and other items, sent on board the Alexander by Mrs Jackson of Somerset Street was not forthcoming, or to make restitution of £15 pounds. The court issued a warrant for Sinclair to appear at 4 o’clock on the 2 July. The warrant was addressed to the Provost-Marshall and signed by the Judge Advocate. The court which had adjourned from Wednesday the 2nd reassembled at 4pm on the 5th. The Provost-Marshall read the writs and Duncan Sinclair appeared. The complaint of Henry Cable was read and Duncan Sinclair joined issue on it. John White recorded in his journal on 8 July: A few days since a civil court of jurisdiction (which consisted of the judge advocate, the Reverend Mr Johnson and myself), was convened, by his excellency, to hear a complaint made against Duncan Sinclair, master of the Alexander transport, by Henry Coble and Susannah his wife (the Norwich convicts who so much excited the public attention), for the non-delivery of a parcel sent on board the Alexander, by Mrs Jackson of Somerset Street containing wearing apparel, books, and other things, for the use of the said Henry Coble, his wife, and child, value twenty pounds. The parcel was proved (and this even by the acknowledgement of the master) to have been received on board; and it likewise appeared in evidence that, on moving it from one part of the ship to another, the package had broken and the books fallen out, which books the convict said had been delivered to him. The court after deducting five pounds (the value of the books received), gave a verdict in favour of the couple, in whose cause the world had seemed so much to interest themselves, and in consequence of the authority unto them granted by Act of Parliament, in such cases made and provided, they adjudged the master of the transport fully to compensate the loss of the convicts, amounting to fifteen pounds. Sinclair considered it as oppressive to be obliged to pay for that on account of which he had not received any freightage, but his objection had no weight with the court, as the ship was in the service of government and paid for the sole purpose of conveying these people, and the little property which they possessed, to this country. Five days later on the 13th, the Alexander, Friendship and Prince of Wales transports, with the Borrowdale prepared to sail for England. Lieutenant Shortland on board Alexander received the despatches, cheered the Commodore and sailed down the harbour. Bradley recorded their departure. The Alexander, Prince of Wales, Borrowdale & Friendship transports sailed for England under direction & command of Lieut Shortland, Agent for Transports. These ships were all in a distressed state when they sailed, both as to sickness, want of provisions & furniture. We made a party to S.Head to see them off the land. Details of the Alexander and Friendship outward voyage arrived back in Sydney Cove several months after the ships departed. David Collins: We heard with concern that Lieutenant Shortland was near five months in reaching Batavia in the Alexander, in which ship he sailed from this port on the 14th of July in company with the Friendship, Borrowdale and Prince of Wales. From this ship and the Borrowdale he parted company very shortly after leaving our harbour; they proceeded round Cape Horn, to Rio de Janeiro, where in last December they were left lying ready for sea. 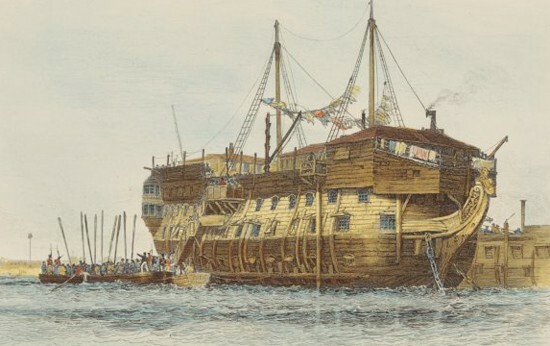 The Alexander and Friendship proceeding to the northward kept company together as far as the island of Borneo, where, the crews of both ships being so much reduced by the scurvy (the Alexander had buried seventeen of her seamen) that it was impossible to navigate both vessels against the strong currents which they met with, and the western monsoon which had then set in, both ships were brought to anchor, and most of the Friendship’s stores, with all her people, being taken out and received on board the Alexander, she was scuttled and sunk. When the Alexander arrived at Batavia, she had, of both ship’s crews, but one man who was able to go aloft. Had the Alexander been at this time a very few days more distant from Batavia, she must inevitably have been lost, not from any stress of weather, or danger of coasts or shoals, but merely from inability to conduct her into port as every man on board must have been totally disabled. On the 17th of November, only one man was fit for work, besides the officers. Never, perhaps, did any ship arrive in port more helpless, without being shattered by the weather, from the mere effects of a dreadful and invincible disorder. The ship’s arrival in Cape of Good Hope in January 1789 coincided with the visit there of HMS Sirius. Alexander arrived off the Isle of Wight, England, on 28 May 1789. Lieutenant Shortland in the early part of the outward voyage of Alexander noticed a dangerous shoal and an island. Giving them the names of Sir Charles Middleton Island and Middleton Shoal he also charted and provided the authorities with their longitude and latitude. 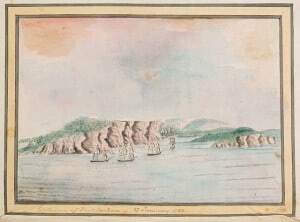 Golden Grove on her passage to Norfolk Island in October 1788, sighted a shoal of considerable extent which was supposed to be the same as that seen by Lieutenant Shortland and named by him Middleton Shoal. It is believed this shoal was Blackburn or Elizabeth Reef. Lieutenant Henry Ball in Supply failed to find Middleton’s Shoal and Island using Shortland’s longitude and latitude. Later explorers were no more successful. Alexander’s working sea life continued. The London registry for Alexander was cancelled on 31 March 1792 and then registered again in Hull. 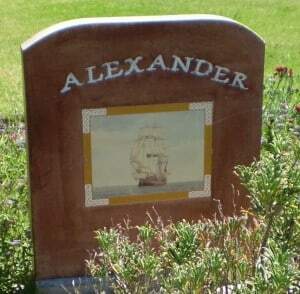 There is no record of Alexander after 1808. Sinclair was master of the 346 ton ship Elizabeth hired to serve as an army victualler in October 1793.